CIA Director Mike Pompeo says 2015 nuclear deal not enough to ensure Iran has no pathway to developing the bomb. 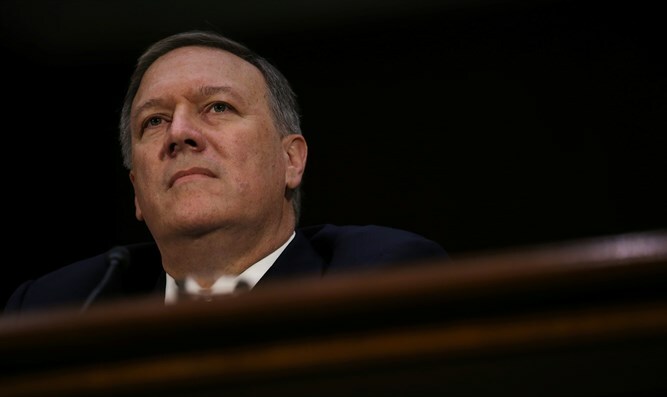 The 2015 nuclear deal between Iran and Western powers is insufficient in ensuring the Islamic Republic has no pathway to developing the bomb, CIA Director Mike Pompeo said Thursday. The notion that the agreement would "curtail Iranian adventurism or their terror threat or their malignant behavior has now ... two years on, proven to be fundamentally false," said Pompeo, in comments quoted by The Associated Press. He said that the Iran deal put the United States in a better place with respect to inspections of Iranian facilities. But from an intelligence perspective, he said, even more "intrusive inspection" is needed. "The Iranians have on multiple occasions been capable of presenting a continued threat, through covert efforts to develop their nuclear program along multiple dimensions ... the missile dimension, the weaponization effort, the nuclear component itself," he stressed, according to AP. Trump has provided the CIA with the authority it needs to track Iran's compliance with the deal, he added. Pompeo and Trump's national security adviser, H.R. McMaster, who also spoke at the Foundation for Defense of Democracies event, both said the U.S. must counter Iran's aggression in the region. Trump last week adopted a harsh new approach to Iran by refusing to certify its compliance with the deal. On Monday, Trump said that the complete cancellation of the 2015 deal was a "real possibility." Iranian leaders have stepped up their rhetoric in recent days and weeks as it became clearer that Trump was planning not to recertify the deal. Iran's Foreign Minister, Mohammad Javad Zarif, warned Trump this week of a "reciprocal measure" if sanctions were reimposed on his country. Iranian President Hassan Rouhani also criticized Trump's speech and vowed to expand Iran's ballistic missile program. Speaking on Iranian television, Rouhani dismissed Trump's “insults and fake accusations", and said that Iran would stick to the nuclear agreement as long as it was beneficial. On Wednesday, Iran's Supreme Leader, Ayatollah Ali Khamenei, threatened his country would "shred" the agreement if Washington pulled out.